If one goes by the way chefs and restaurants are spoken about, not just in India but the world over, one may end up believing that women are, at best, marginal players in the competitive food business. To an extent, this is true. Far fewer women get the opportunity to rise to the top of this game — to head kitchens of well-known restaurants or of any restaurant at all. There are many reasons for this glass ceiling, including the fact that chefs and restaurateurs who happen to be women often get fewer networking opportunities as they struggle to keep up a work-life balance after spending long and unrelenting hours in the kitchen. However, there also seems to be a cloak of invisibility around achievers who are women even when they do stellar work. They do not get nominated for enough awards; do not get written about enough and certainly do not enjoy success at par with their male peers who dominate our perceptions and accrue financial and other rewards. This imbalance exists also because many talented women in the food business are not out there tom-toming their achievements on social media 24×7. We should be thankful for less Instagram clutter and thankful for their more genuine work. However, the flip side is we may not get to hear about their achievements. Last year, James Beard Foundation sought opinion on how to correct this imbalance. In India too, it is time we put the spotlight on women in the restaurant world, who head their kitchens and are doing top-notch work but remain under-marketed and under-celebrated. Here is our pick of five professionals you may not have heard of or not heard enough of but you surely should know of. 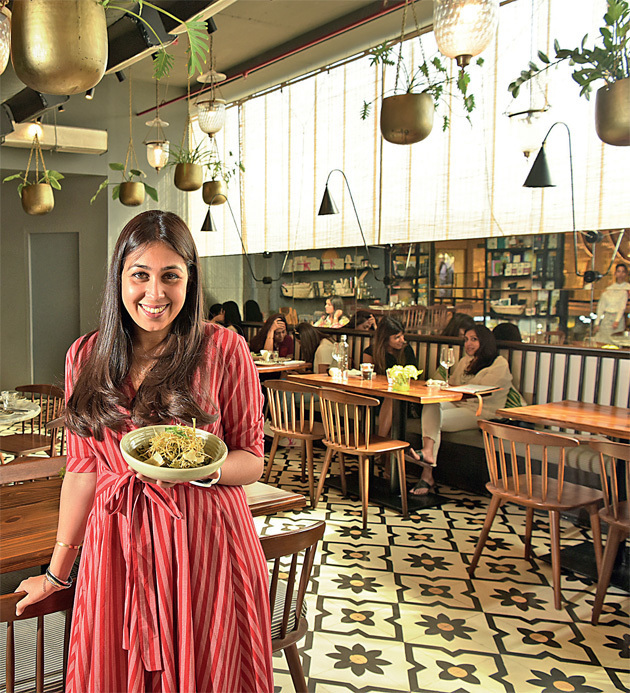 Last year, at the opening of her third café in Delhi, Ambika Seth, the cofounder of Caara — an umbrella company for a catering service, a farm and restaurants — brought along her month-old baby, who slept through the afternoon as his mother explained the restaurant’s food philosophy based on fresh ingredients to first-day customers. Nothing can show ambition more than this commitment. Seth, an alumnus of the École hôtelière de Lausanne in Switzerland, spent a decade working abroad before coming back to India and starting a farm for chemical-free produce. A chance encounter with Alice Mirabel Helme, who ran a catering service, led to the duo combining their strengths and founding Caara, which started catering high-quality food and became quite the talk of the town even if none of its patrons knew the identities of its founders initially! The café business is now showing signs of growing a chain. While Helme, who moved back to the UK last year, looks after the British interests of the firm, Seth runs the India operations. Both, however, come together to ideate on new menus every month or two. Seth, who has been focussing on lesser known traditional ingredients, talks enthusiastically about a chironjee hummus as well as using triphal, the local Indian variety of Sichuan peppercorn for a salmon dish. “There is real art to do this — to not tamper with the original and yet make it interesting and appealing to the local palate,” says Seth. 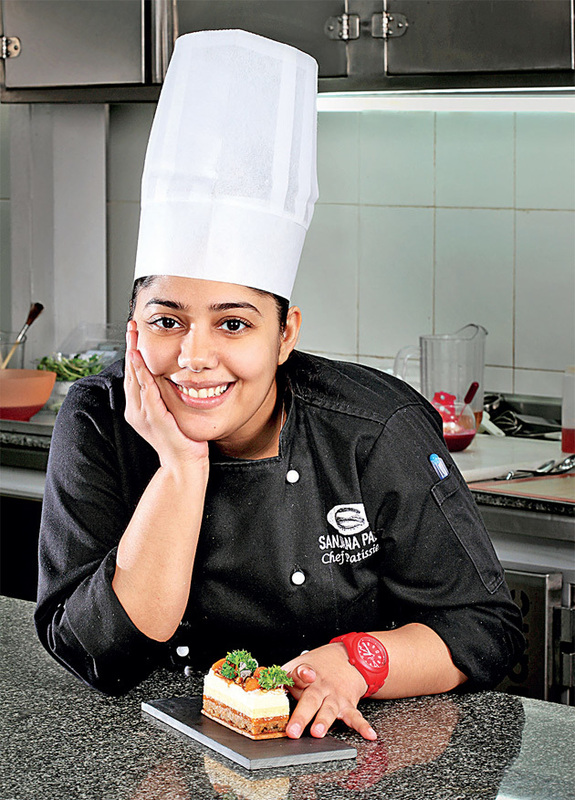 She is arguably one of India’s brightest young chefs. But you would only know that if you dined at her new restaurant –Together At 12th at Le Meridien in Gurgaon. 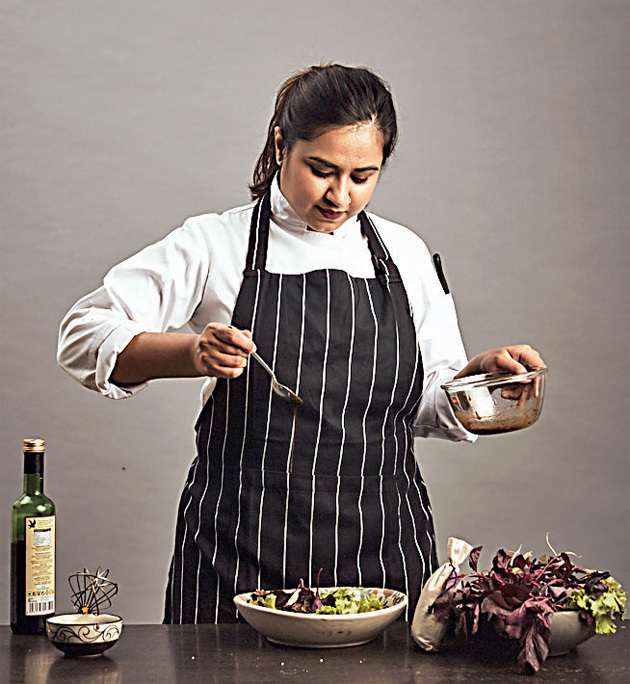 Vanshika Bhatia, who has worked under top chefs in celebrated restaurants such as Noma (Copenhagen), Junoon (Dubai), Gaggan (Bangkok) and Ek Bar (Delhi), where she was chef Sujan Sarkar’s trusted lieutenant, took the plunge at opening her own restaurant in February. 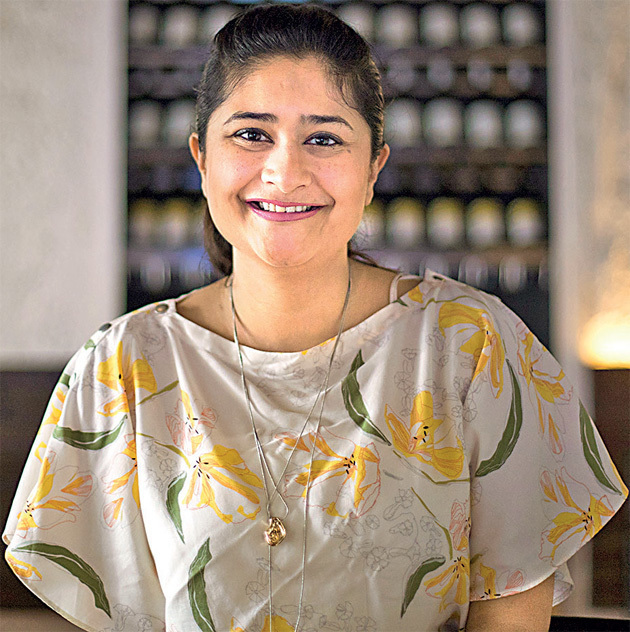 The result is Together — her collaboration with mixologist Nitin Tiwari, who earlier set up cocktail menus for The Bombay Canteen, Toast & Tonic and Masque. The restaurant has a European menu with Indian influences. Bhatia’s inventiveness is on full display in dishes such as pork belly glazed with Himachali apple and served with a dollop of bhang ki chutney. The focus on local and seasonal ingredients and the controlled way in which this chef is able to put these together puts her, according to us, in the top league of chef-restaurateurs in the country, except that she is largely “undiscovered”. However, Bhatia does not waste her time on image-making. After she introduces her dishes to me, she runs back to what she lovingly calls her “home”— her spacious kitchen within the restaurant but removed from its hustle and bustle. It is not just this “home” but her family home in Kanpur that inspires her creativity. While studying French culinary techniques at Le Cordon Bleu in London, Bhatia began to connect these to the way her mother and grandmother cooked at home. “The iron kadhai and Dutch ovens are similar in use. There is also similarity in making Indian gravies and western stews. The way my naani used to make preserves from flowers and fruits from our gardens made me appreciate techniques of preserving food in different cultures,” she says. She is the undisputed queen of desserts in India. Yet, chances are that you may not have heard of her — especially if you stay away from “South Bombay”. However, for her discerning clientele, which includes the Ambani family, there is no comparison between Patel’s quality of work and anyone else’s in the country. After nine years in France, she returned to Mumbai and in 2014 set up La Folie (which means “The Madness”). Patel’s idea was to bring the best of French chocolate and pastries to Mumbai — top ingredients combined with her taste-making. The rest was history, only if it were better known! “I believe your work should speak for itself. I have a small pool of discerning customers and I guess that is fine even though my desserts are for everyone and I would like more people to experience these,” Patel says when I ask her about her non-existent marketing. Despite her low-key ways, her ambition as a chef and restaurateur is evident since her business has been growing slowly but steadily. “People may not have taken me seriously (as a restaurateur) initially but after five years and three boutique outlets, they do,” she says. In April, Patel is opening another restaurant – an underground, hidden eatery that will be, she says, an “experience centre”. Known for combining unusual flavours like beetroot and pomegranate instead of lime or grapefruit and yoghurt, Patel’s preoccupation lately has been in creating layered, beautiful and healthy desserts. She has been experimenting with ingredients that can be indulged in by consumers on restricted diets. So happy she is locked up inside her workspace that it took us two days to reach her! 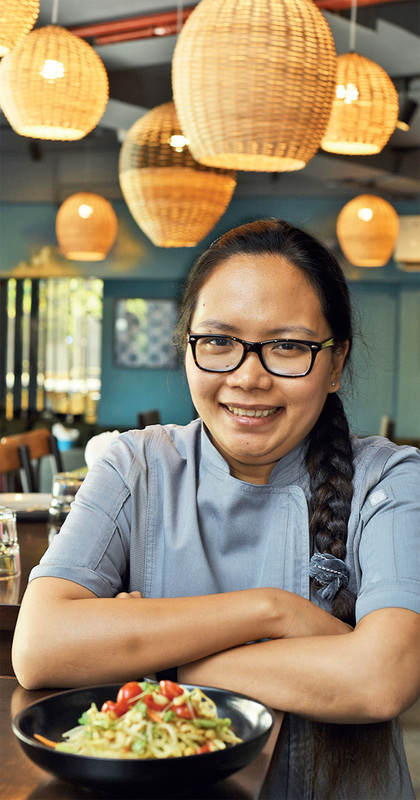 The Blue that came up in Bandra two years ago as a 20-seater served perhaps the best Thai food in India, thanks to chef Seefah Ketchaiyo. It started off as a hidden gem but soon started being patronised by a large pool of customers. “On weekends, we did as many as 140 covers and on average, 80 covers a day,” Seefah says. With a booming business, Seefah has now shifted to a larger location. This January, she opened an eponymous 50-cover restaurant on Hill Road, serving the same Thai and Japanese food Blue (now shut down) was known for. Seefah, who was a chef at Four Seasons, and her partner chef Karan Bane, a specialist in Japanese food, quit the hotel to start a catering venture. They soon realised the potential of their business as word spread. Seefah then decided it was time to open a small restaurant that served quality street food, the kind one finds commonly in Thailand. “Nothing fancy, just good food,” she says. The Blue crept upon us out of the blue, serving delicious som tum and stir frys. “We wanted to keep it authentic and only limit it to two cuisines we specialise in instead of pan Asian which we could easily have done,” says Seefah. As particular about the service as about her food, Seefah had 18 staffers to take care of the 20-cover restaurant — an unheard of practice in standalones in India. “We have never had to do any publicity or social media. I firmly believe in quality and word of mouth publicity. In the end, customers should be happy,” she says. Touche. It was a medical emergency while working at a hotel in Canada that made Sabreen Sukhtankar move to Goa with her husband Prahlad. “I realised I wanted family around us,” she says. Then as she toyed around with what to do next, destiny dealt her a card. A chance newspaper advertisement for a restaurant space led to the idea of opening an eatery in Panjim in 2014. Back then, Panjim had virtually no restaurants of this level. “We called it Black Sheep Bistro because we are both the black sheep of our families — no one in either of the families has been into the restaurant business before,” Sabreen Sukhtankar says and laughs. Black Sheep Bistro was an attempt to create a safe place for women away from touristy beaches “where girls like me could go out for a drink in the evening,” she says. From hooks to hang handbags at the bar to staffers trained to be sensitive to women, the restaurant was conceptualised as a women-friendly space. It hoped to get local customers with its innovative globally-inspired fare made with local ingredients. “We get all our vegetables from a cousin’s farm; the fish seller is round the corner and we have a relationship with our meat seller. Basically, we know all our suppliers,” she says. In March, the couple opened another second restaurant — Black Market — a few minutes’ walk from Black Sheep. However, as Sukhtankar goes about spearheading glocal gastronomy in Goa, you may not necessarily recognise her.